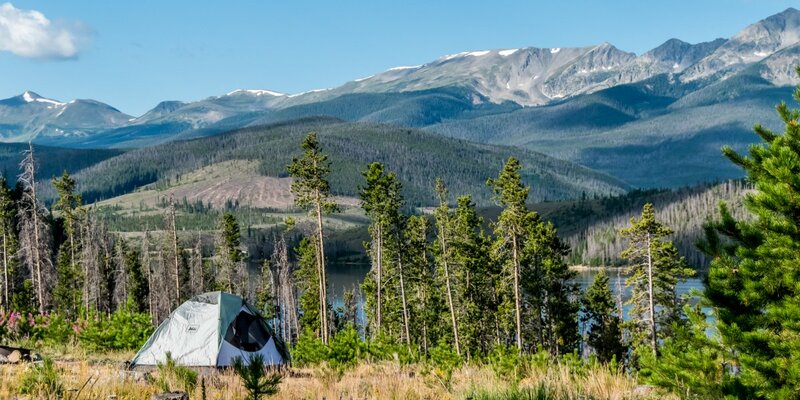 Located between the Front Range, the Gore Range and the Tenmile Range and sitting at an elevation of over 9,000 feet in Summit County, Dillon Reservoir is without doubt one of Central Colorado's most lively recreation areas. As a part of the Colorado-Big Thompson Project, the natural flow of the Blue River was cut off with the construction of Dillon Dam in 1963. The dam stretched to more than a mile long and created Dillon Reservoir, a key water supply for the city of Denver, but it also created one of the most dynamic year-round recreation spots within the Rocky Mountains. During the winter months tourists and locals endure the painful traffic of I-70 to hit the slopes of Arapahoe Basin, Breckenridge, Keystone and Copper Mountain Resort. The reservoir itself becomes a host to ice fishing, hockey and skating. During the summer months, however, Dillon Reservoir truly comes alive. Boaters can launch from the marinas in Frisco and Dillon, where both marinas rent canoes, kayaks, sailboats, and small motorboats. Anglers will enjoy the annual stocking of rainbow trout, paddlers will enjoy exploring the reservoir's inlets and bays, bicyclist will enjoy the 18.7-mile Recpath that circumnavigates the reservoir, and campers will find home at any one of the reservoir's six campgrounds, including Windy Point Gap Group Campground, which can accommodate parties of up to 100 people. A hiker ascends up a boulder talus field on the northeastern slope of Buffalo Mountain. Photo by Louie Traub. Kid-friendly. Scenic views across reservoir. 1.7 miles round-trip. 175 feet of elevation gain. 3.5 miles round-trip. 925 feet of elevation gain. Short, easy hike above reservoir. 0.6 miles round-trip. 40 feet of elevation gain. Panoramic views. Mountain goat sighting common. 6 miles round-trip. 3,050 feet of elevation gain. Spectacular mountain lake and views with solitude. 5.7 miles round-trip. 630 feet of elevation gain. Historic mine and cabin. Waterfalls. Mountain lakes. 6.8 miles round-trip. 1680 feet of elevation gain. Bucyrus Dredge Loop. The beginning of the Colorado Trail. Photo by Stefan Myers. 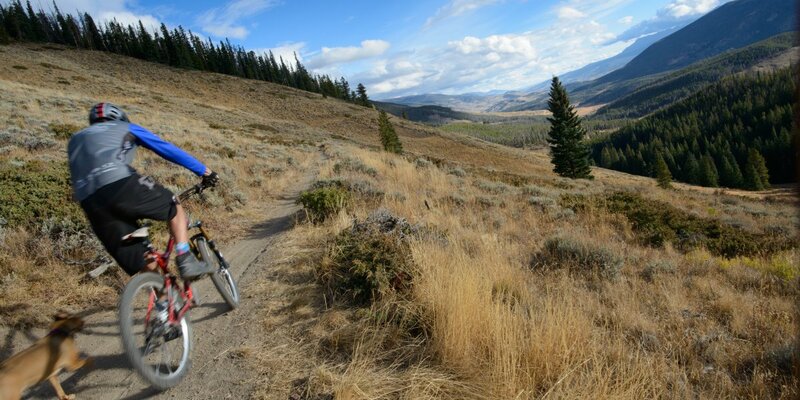 ​Circumnavigates Dillon Reservoir. Paved and relatively level. 18.7 miles round-trip. 500 feet of elevation gain. Mining history and remnant abound. Singletrack. 9.2 miles round trip. 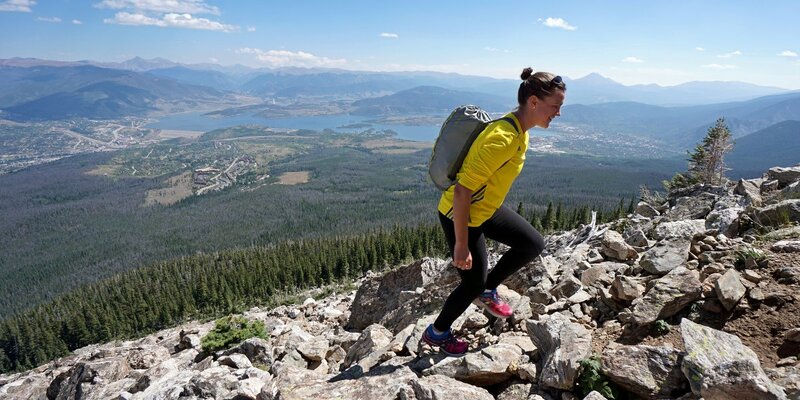 1,410 feet of elevation gain. Aspen colors in autumn. Fast and furious downhill. 5.6 miles round trip. 1,070 feet of elevation gain. Campsite at Prospector Campground. Photo by Denis LeBlanc. 23 full hookup RV sites, 23 RV sites (electricity and water), 3 walk-in sites. Potable water and vault toilets. 1 group site, 1 group picnic shelter. Both accommodate up to 100 guests. 32 campsites, 4 walk-in sites. Potable water, restrooms, picnic area and boat ramp. 15 RV sites (electricity and water), 52 campsites, 14 walk-in sites.